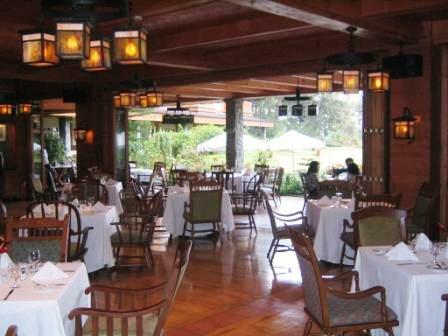 Camp John Hay Manor nothing like it in the Philippines. Camp John Hay Manor, where you need a fire to keep warm. The Camp John Hay Manor was where we arrived. We escaped from the urban hustle and bustle of Metro Manila, a five-hour bus ride was all it took to get my friends and I to the City of Pines, and we found ourselves checking in to Baguio City’s prime five-star hotel. 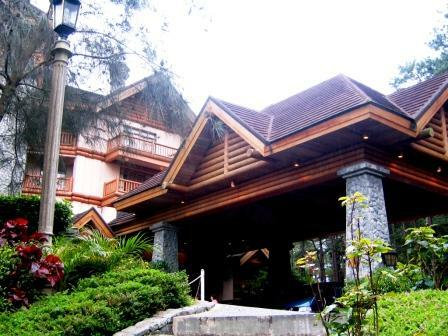 It definitely was love at first sight with Camp John Hay Manor. And a sweet respite it indeed was. 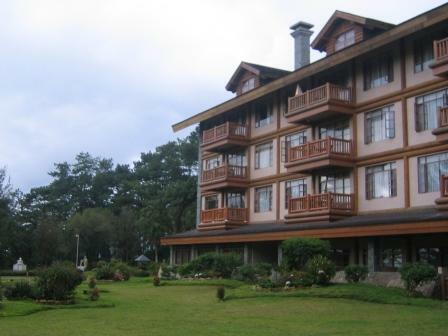 The four-storey hotel itself is situated right inside the 250-hectare grounds of Camp John Hay, originally built in 1903 as a rest and recreation camp by the US military in Baguio City. Within its charming grounds, pine tree laden sloping terrain, with an often enveloping mist to boot, it instantly transported us into that “secret place” only you and that little Mary Lennox within know. The bridled paths and flower beds in the gentle trails, slowly evaporated our concrete jungle weary nerves, bliss and peace took it’s place. Camp John Hay - what about the service? So we entered The Manor Hotel. The staff stayed true to its five-star service, all smiling and warmly accommodating, with that signature Filipino hospitality. The colonial interior, wood furniture and large brick fireplace at the main lobby, (a usual photo spot for local travelers and tourists), greeted us with that “place away from home” fuzzy vibe, a bit like how I imagined a king’s castle, seated deep in a magical woodlands. The two-bedroom unit we got was very much worth every penny. Situated at the topmost floor of the hotel’s 175-room accommodation, we had a spectacular view of the Cordillera Mountain range and the well kept blooming gardens below. There was even a wedding reception on, it seemed as though a masquerade ball was welcoming us. “Manor,” as the Baguio locals call it, has that ski-lodge type exterior, making even a simple cigarette fix on the balcony a very delightful experience; a postcard like vacation in the Alps, without the snow-covered mountain peaks. Cutting costs for this little trip, my friends and I opted to eat out. Situated inside the camp, Lil’ John’s Restaurant is a good choice from the hotel’s ground floor (fine-dining) restaurant and cafe. It was part of the commercial shops which are a five-minute walk from where the hotel is. It also included outlet stores where you could find a lot of duty free priced items and local goods for sale. We also heard, a Starbucks branch was on it’s way, not sure whether that is good or bad. There are a lot of shopping areas to choose from, if you find yourself just wanting to stay within the camp’s vicinity. If you do decide to go out and explore the neighboring local tourist spots, which there are many, just give Camp John Hay’s reception a call, they will arrange transportation for you. As my first trip to Baguio City, The Camp John Hay Manor experience was breathtaking. Enjoy the unique fog lined mountain view, with an occasional rainbow spray in sight, nothing quite like it anywhere in the Philippines.